What are Retrievable Inferior Vena Cava Filters? What are Vena Cava Filter Side Effects? IVC filter lawsuits are currently being filed against the manufacturers of these devices because they put patients at an unnecessary increased risk of complications. IVC Filters were designed to prevent blood clots from reaching the heart and lungs but they are failing at alarming rates. Affected individuals require immediate removal and may be left with severe side effects. February 5, 2019 – $3 Million verdict awarded to a Georgia woman who suffered serious complications after a Cook Medical IVC filter deteriorated inside her body. This is the first time a jury has reached the conclusion that these widely used filters made by Cook Medical – as well as other manufacturers – are defective. 5000+ lawsuits against Cook Medical and 5,000+ lawsuits against C.R. Bard are pending in the IVC Filter MDL. IVC filters are spider-shaped devices inserted into the largest vein of the body to capture blood clots and prevent them from reaching the lungs. IVC filters are frequently placed in patients at risk for pulmonary embolism (PE) when anticoagulant therapy cannot be used or is ineffective. Although the original indication was to use IVC filters after anticoagulant therapy fails, increasingly IVC filters are being used before exhausting anticoagulant therapy, in a prophylactic manner. Critics believe the use of these devices in this manner puts patients at an unnecessary increased risk of complications. Eleven companies sell IVC filters in the US. An increase in the use of retrievable filters has coordinated with an increase in revenue for the manufacturers of IVC filters, as retrievable filters are more expensive. Retrievable filters represent approximately 75% of the IVC filter market. In 2013, doctors writing for JAMA Internal Medicine asked, “How Could a Medical Device Be So Well Accepted Without Evidence of Efficacy?” IVC filter lawyers filing IVC filter cases are now asking the same questions of the manufacturers of these vena cava filters. The IVC filter was designed to capture a blood clot before it reaches the pulmonary circulation and should improve outcomes. According to the evidence reviewed for this JAMA article, however, this theory was never validated by empirical studies. Use of the Inferior Vena Cava as a way to prevent death from pulmonary embolism has climbed steadily over the past 3 decades with nearly 50,000 filters being placed each year by the end of the 1990s. One reason for the increase in the use of the IVC filter was the introduction of the newer, retrievable filters that appeared to make the use of IVC filters a less intrusive solution. The problem with this is that most of these IVC filters were not removed and a lot of removals became complicated if not impossible. The researchers from JAMA noted that the only randomized controlled trial of the IVC filter was the PREPIC study published in 1998 with an 8-year follow-up published in 2005. The PREPIC study did not give the manufacturers of Inferior Vena Cava devices the evidence they were looking for. PREPIC concluded that there was a lower rate of PE but that there was no survival benefit after eight years. Furthermore, this study showed that there was a higher rate of Deep Vein Thrombosis (DVT) amongst patients who received an Inferior Vena Cava filter; on the other hand, patients were less likely to have a new PE. PREPIC-2 did not offer any conclusive evidence for the use of the Inferior Vena Cava filter either. The study showed that there was a small increase in mortality amongst the patients that received IVC filters. Retrievable inferior vena cava filters (rIVCF) were designed to prevent blood clots from traveling to the lungs, providing temporary prevention from a pulmonary embolism, and then be removed when a doctor feels that they no longer necessary. Because rIVCFs seem susceptible to greater device-related complications, such as filter penetration of the IVC, filter migration, and filter fracture, in 2010 the FDA was prompted to issue a safety alert urging removal of retrievable inferior vena cava filters once they are deemed no longer necessary. IVC filter lawsuits are being filed on behalf of individuals experiencing life-altering complications from IVC Filters. These lawsuits are being filed against the manufacturers of these devices, including the industry leaders, Cordis Corporation, Cook Medical and C.R. Bard. IVC filter use saw a 20-fold increase of use between 1979 and 1999, according to the National Hospital Discharge Survey. Today, the IVC filter market is worth $190 million and is growing at a compound annual growth rate of 11% per year. In August 2010, The FDA issued a Safety Alert concerning the use of IVC filters. The FDA recommends that implanting physicians and clinicians responsible for the ongoing care of patients with retrievable IVC filters consider removing the filter as soon as protection from PE is no longer needed. In addition to the increased use of IVC Filters, retrievable filters are remaining in the body for longer periods of time, beyond the time when the risk of pulmonary embolism has passed. In 2010, the FDA encouraged all physicians involved in the treatment and follow up of IVC filter recipients to consider the risks and benefits of filter removal for each patient and to recommend removal as soon as it is feasible. 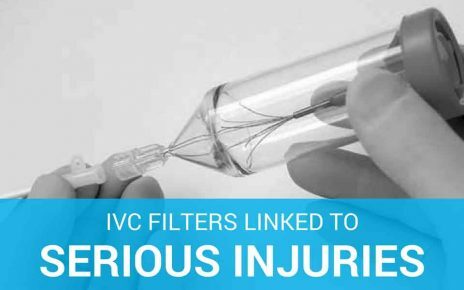 IVC filters are removed in a process similar to the way they were placed, but in some instances, surgeons have been unable to retrieve the filters, and patients have experienced life-threatening side effects such as filter migration, organ perforation, and heart embolization. The FDA also encouraged all physicians involved in the treatment and follow-up of patients receiving IVC filters to refer patients for IVC filter removal when the risk/benefit profile favors removal and the procedure is feasible given the patient’s health status. According to a 10-year study published in the medical journal Pediatric Radiology, researchers found that it may be difficult for doctors to remove IVC filters from children, particularly when the filters tilt or migrate out of position or become embedded in internal organs. The October 2015 issue of the Annals of Surgery took a closer look as to whether trauma patients truly benefited from having inferior vena cava (IVC) filters implanted or whether they faced an even greater risk of life-threatening health complications. The study was conducted by researchers affiliated with the University of Michigan, who examined patient data from 2010 to 2014 and identified 803 cases in which trauma patients were implanted with IVC filters to reduce the risk of pulmonary embolism (PE). High rates of prophylactic IVC filter placement have no effect on reducing trauma patient mortality and are associated with an increase in DVT events. Despite the lack of longevity, there has not been an IVC filter recall. In fact, the number of IVC filters used continues to increase. According to the National Hospital Discharge Survey, there were 803,000 IVC filters placed from 1985 to 2006. The IVC filter market is currently worth $190 million and growing. It is expected that the IVC filter market will be worth close to $320 million in several years. A 2015 Security and Exchange Commission (SEC) filing states C.R. Bard disclosed that it received a warning letter regarding its facilities in Glens Falls, New York and Tempe, Arizona from the U.S. Food and Drug Administration (FDA) alleging misfiled customer complaints, including one reporting a patient’s death with regards to Bard’s Recovery Cone Removal System for IVC filters. The SEC filing alleges that Bard manufactured and marketed the Recovery Cone Removal System without the required clearance or approval, and failed to inform the FDA of serious malfunctions associated with the device. The Recovery Cone Removal System is used to retrieve inferior vena cava filters (IVC filters). According to the Bard marketing materials, the Recovery Cone Removal System amounts to “Safe and Easy retrieval, time after time” however, the FDA notes that model RC-15 was not included in the FDA clearance and major changes were made to the device requiring FDA approval. The FDA warning letter requires that Bard stop marketing the device until it is approved. The Judicial Panel on Multidistrict Litigation (JPML) heard oral arguments in July 2015 centered on whether to centralize IVC filter lawsuits filed against manufacturer C.R. Bard. Claims against another manufacturer, Cook Medical, have already been centralized by JPML. The plaintiffs in the Bard IVC filter lawsuits seek to get their suits brought before U.S. District Judge James E. Kinkeade of the Northern District of Texas or before Judge Robert C. Jones in the District of Nevada. Problems with your IVC Filter? Separation of any component of the filter due to structural failure. Accounts for up to 22% of complications reported in the MAUDE (Manufacturer and User Facility Device Experience) database. Visualization of one of more filter struts beyond the cava wall or within an adjacent structure. Accounts for up to 20% of complications reported in the MAUDE database. Movement of the device beyond the location of initial placement within the IVC. Accounts for 22% of complications reported in the MAUDE database. Formation of chronic DVT in the IVC secondary to prolonged IVC Filter implantation. Increased risk with prolonged implantation and absence of therapeutic anticoagulation. A new DVT or PE that occurs in a patient after placement of an IVC filter. Increased risk with prolonged implantation and absence of therapeutic anticoagulation. A constellation of symptoms following chronic DVT formation that includes swelling, heaviness, pain, skin changes, and/or venous ulceration. May occur in up to 70% of patients with unresolved DVT and an indwelling IVC filter. The risk appears to increase with prolonged filter implantation. In Re:Cook Medical, Inc., IVC Filters Marketing, Sales Practices and Products Liability Litigation, MDL No. 2570 in the U.S. District Court, S.D. West Virginia. A number of IVC Filter Lawsuits filed against Cordis Corporation were dismissed based on the fact that CA does not permit design defect claims. We will keep victims posted as to the progress with the Cordis IVC Filter lawsuits. How Do I Pick an IVC Filter Lawyer? The right lawyer for your IVC filter lawsuit is not necessarily your local lawyer because these lawsuits are currently part of multidistrict litigation process. IVC filter lawsuits are being filed agains the manufacturers of IVC filters – specifically Bard and Cook with lawsuits moving forward in federal courts in Arizona and West Virginia. A good IVC filter lawyer is one who is experienced with multidistrict litigation and has the resources to fight these large device manufacturers – Bard and Cook. TruLaw and our affiliated lawyers meets this criteria. How Can an IVC Filter Lawsuit Help? Your IVC Filter lawsuit is designed to help you financially recover from injuries that were caused by someone else. We hope putting your trust in TruLaw will take away your concern of protecting your legal rights., but it is most important to us that you spend your time recovering physically. Has There Been an IVC Filter Settlement? IVC Filter settlement discussions have begun and will continue to move forward during the bellwether trial process. One of the primary purposes of the bellwether trial approach is the hope that the results of early cases will encourage discussions about settlements in related lawsuits. Both the Bard and Cook IVC filter lawsuits are currently working on moving forward with bellwether cases and have begun settlement conferences. 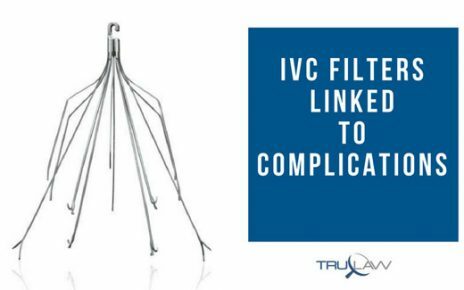 This process is expected to spread out over the course of the next year and TruLaw will continue to update victims of IVC filter injuries as these trials and settlement conference continue. Is there currently an IVC Filter Lawsuit? TruLaw is pursuing IVC Filter / Blood Clot Filter lawsuits against Bard and Cook. In addition, we are looking into the possibility of filing lawsuits on behalf of individuals harmed by the Greenfield and Cordis IVC filters. Have you seen or heard an IVC Filter Commercial? Did a recent IVC Filter or Blood Clot Filter commercial grab your attention? Did you find our site because you were wondering if you qualify for IVC Filter lawsuits? We built the IVC Filter Instant Case Evaluator as a no cost/no obligation place for you to find answers about your legal rights. If you found us today, you are looking for instant answers to whether you should file an IVC Filter lawsuit and we want to help you. We believe that in order for you to make important decisions about your health and your legal rights, you need to start with information. We provide you this valuable information so you are prepared to talk to a lawyer. Should you file an IVC Filter Lawsuit to protect your legal rights? Were you implanted with an IVC Filter? Did you then develop any complications? If you answered yes to these two questions you should look into your legal rights.Fill out our Secure IVC Filter Instant Case Evaluation if you believe you may need to protect your legal rights. View Your IVC Filter Device Case Analysis Now!